Eric Woehler is the head of the seabird and marine mammal observation team onboard RV Investigator. 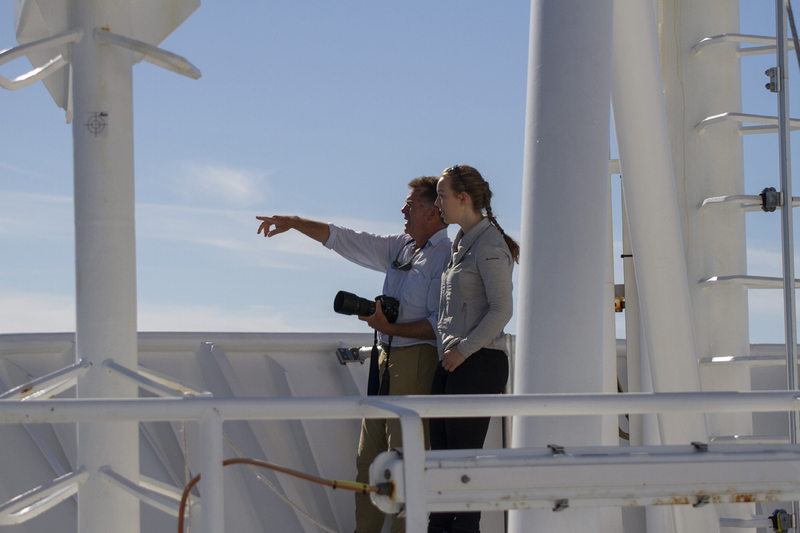 The team is supporting a supplementary project which uses spare ship capacity and compliments the primary voyage research to maximise the scientific value of the time spent at sea. In the past 13 days, the team has recorded 38 bird species, including several rare and threatened species. “The program we are running is a daily voyage of discovery,” Eric said. Eric said that before the voyage he had put together a ‘mental shopping list’ of 40 species of bird it would be reasonable to observe. He didn’t expect that after a mere 13 days they would have already observed 38 species. “Quite a few of those are species I never expected to see,” Eric said. “The Australian Shelduck, for example, which we saw last Saturday. This species is often seen in coastal lagoons or farm dams: you certainly wouldn’t expect to see a couple of ducks 50 miles off the coast, flying in a south easterly direction with the next bit of land in that direction being Macquarie Island. The primary focus of the voyage has been collecting deep-tow camera footage of the Tasmanian deep seamounts. Several beam trawls and ocean profiler drops have also taken place. 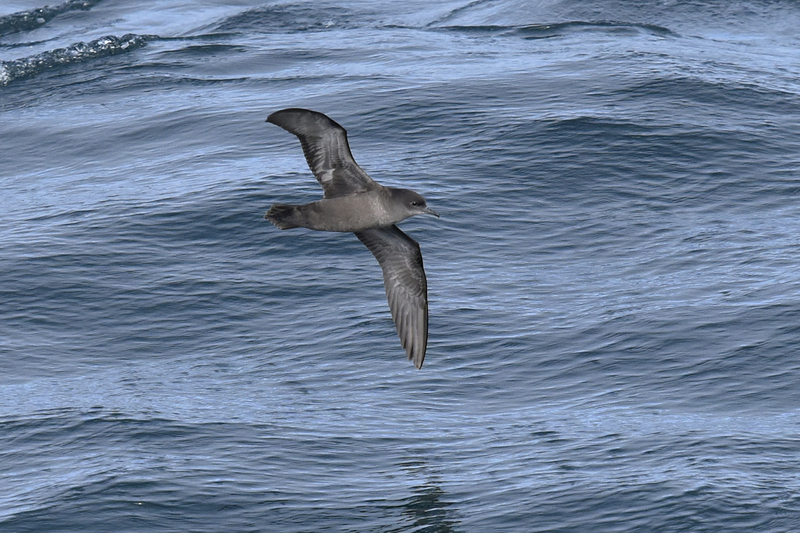 This means the vessel is not travelling very fast, or very far, and acts as a ‘magnet’ of sorts for many of the seabird species in the area who are used to fishing vessels working in the area, and come to check out the vessel hoping for a bite to eat. Many of the species we observe are threatened or endangered. 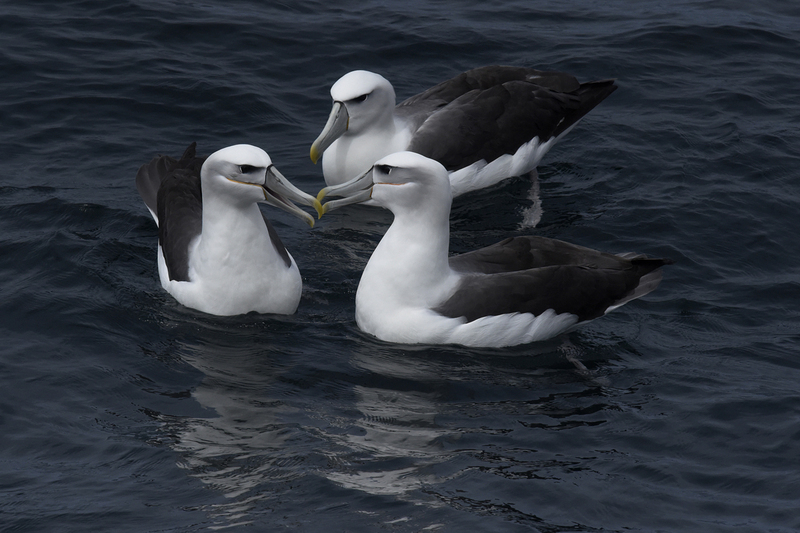 Many of our sightings have been within Huon and Tasman Fracture Marine Parks – these marine parks protect key foraging grounds for oceanic seabirds such as the Shy Albatross. We are very privileged to see these birds at all, let alone in the numbers that we are seeing them and as close they are to the ship. We are incredibly privileged to see this. Eric has been undertaking seabird observation and going to sea for just under 40 years, and he says the excitement never wears off. 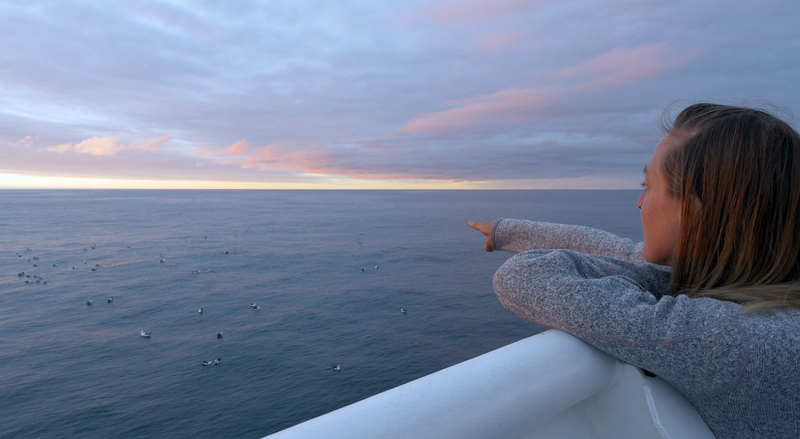 “I am just as excited to step foot on this ship, as I was to step foot on my first ship heading south in 1980. It’s a real privilege. It is also a privilege to share this experience with my students who are a part of my team. This is a potentially a life altering experience that may guide them into a career around seabirds, marine mammal surveys, or research onboard a vessel in some shape or form." Notes on today's activities from Marine Biodiversity Hub Director, Nic Bax . 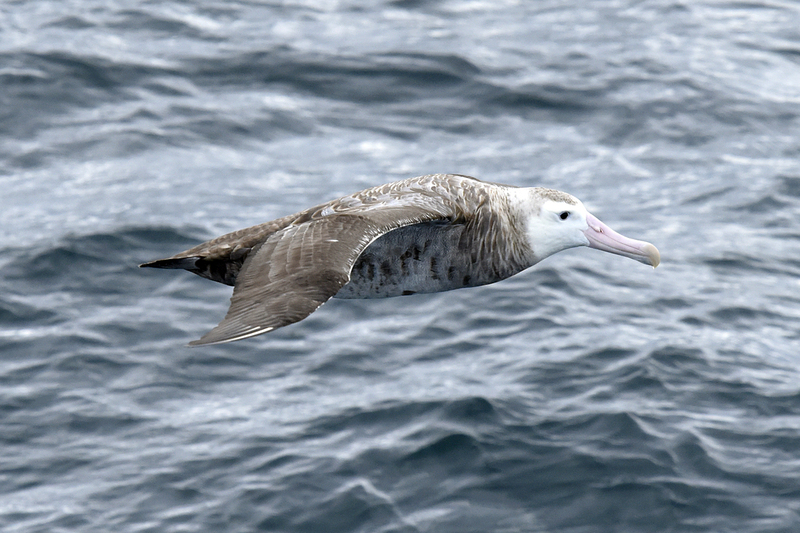 . .
We arrived at Main Matt Seamount at dawn and, with the continuing light winds, focussed on some of the seamount comparison tows to the east that are hard to complete in the prevailing southwesterly winds in this area. Target towing speeds for the deep camera are relatively slow (typically around a knot or ~2k/hr) so that the camera operators with only limited vision have sufficient time to react to changing topography and the resulting stereo photos are sharp enough to identify and count the different marine animals. For the ship to maintain some steerage at these speeds and follow the required transect, it needs to be heading into the wind, or at least not too far off the wind. Hence our easterly tows this morning. 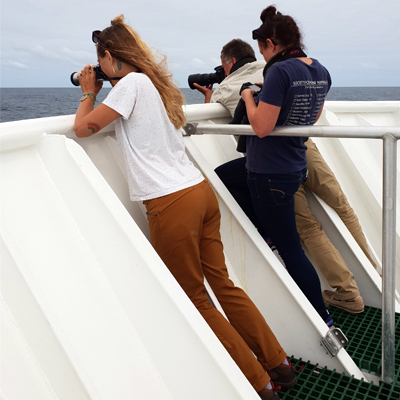 The good weather lasted all day and in addition to increasing the number of scientists going up on deck to spot marine life, we completed six camera transects, five on Main Matt and one on the surrounding seabed hunting for coral. Main Matt has been an interesting seamount to survey. Like Pedra it was heavily fished, although unlike Pedra it is now in an Australian Marine Park – the Tasman Fracture Marine Park. The topography on Main Matt is very variable with many craggy areas that are clearly unfishable – and some of those who tried lost fishing gear that we could see with the camera. But it was not until the sixth transect that we saw any of the reef building stony coral, Solenosmilia, and even then only in very small tufts distributed over a wide area. This is despite seeing many areas of apparently suitable substrate that would have been protected from any trawling. Separating impacts of trawling from the natural variability in the distribution of Solenosmilia is no trivial task – which is why we are spending 28 days collecting data. 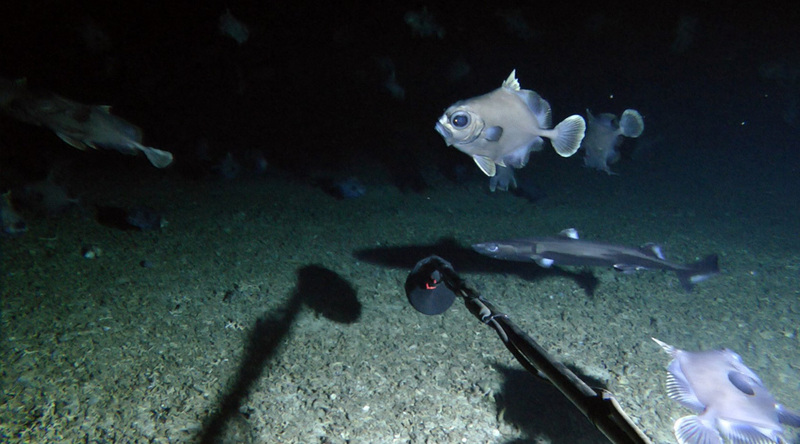 Previous footage from the Sisters Seamount Baited Remote Video Systems (BRUVS) deployment (where the bait was a flashing LED light) showed oreos and deepwater shark approaching or drifting by the camera, with some showing a behaviour that we have seen on the video, where they swim headfirst into the seafloor. The two BRUVS were redeployed on Main Matt to ‘fish’ for 24 hours. 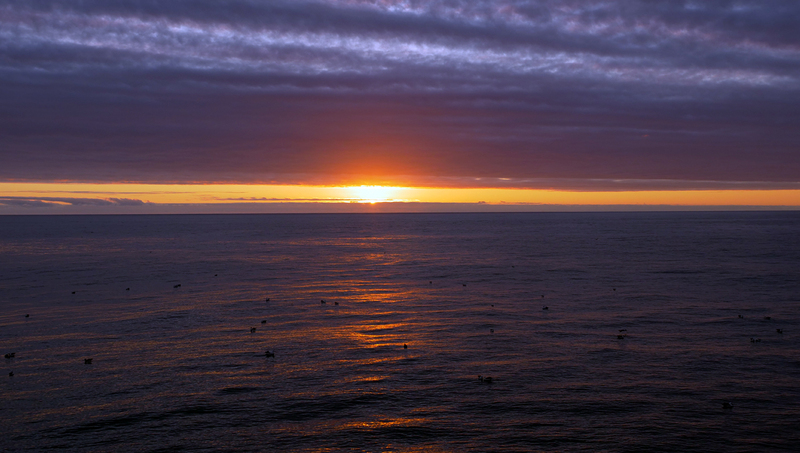 We will need to collect more footage before we can understand what these cameras are telling us, although by measuring the passage of small floating particles through the field of view we will be able to estimate near bottom currents on the seamounts, something that we cannot do from the ship.